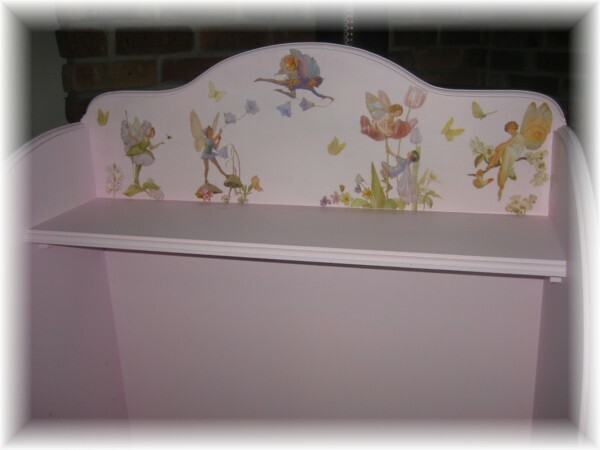 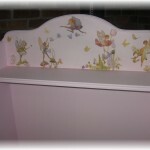 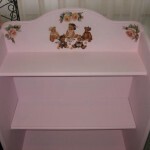 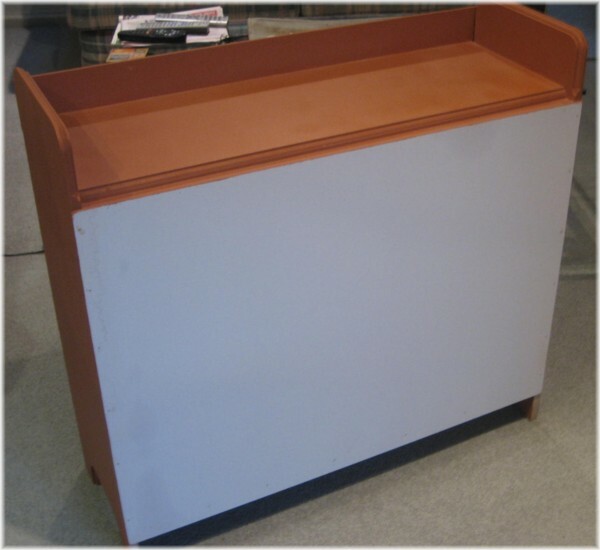 The children’s bookcases are made with MDF and painted or stained to match the decor of the room. 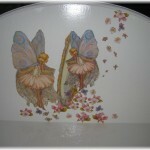 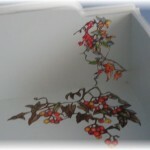 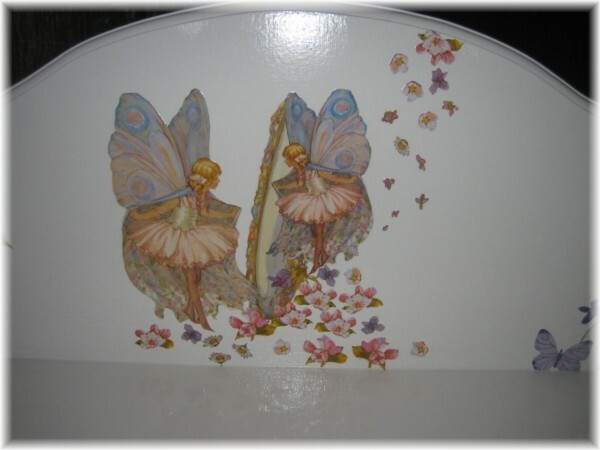 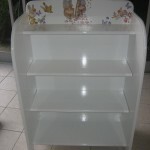 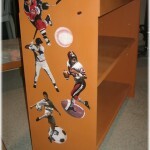 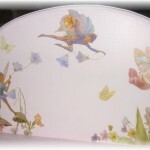 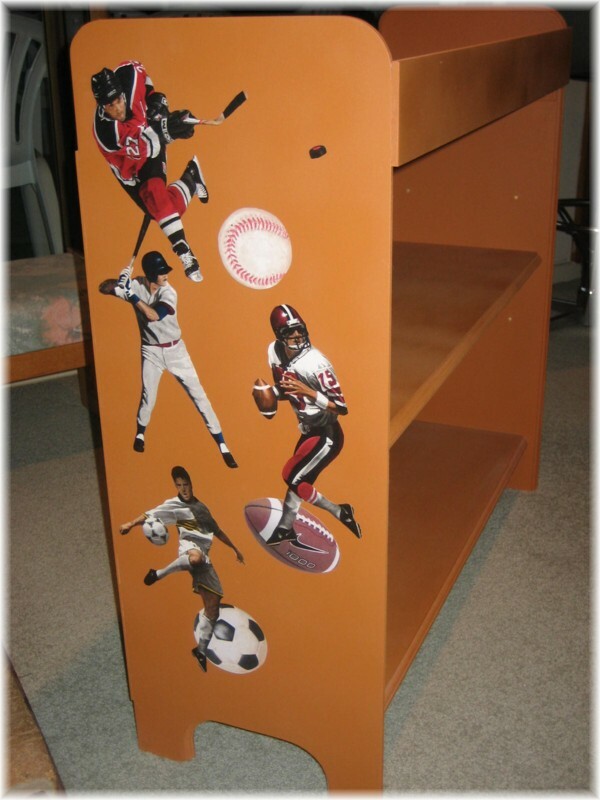 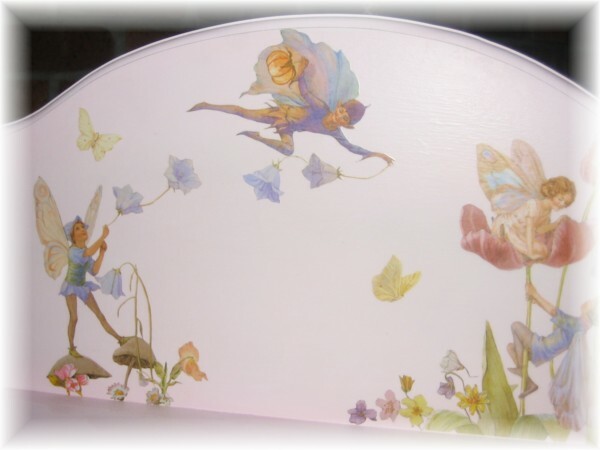 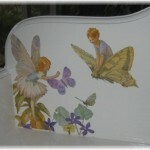 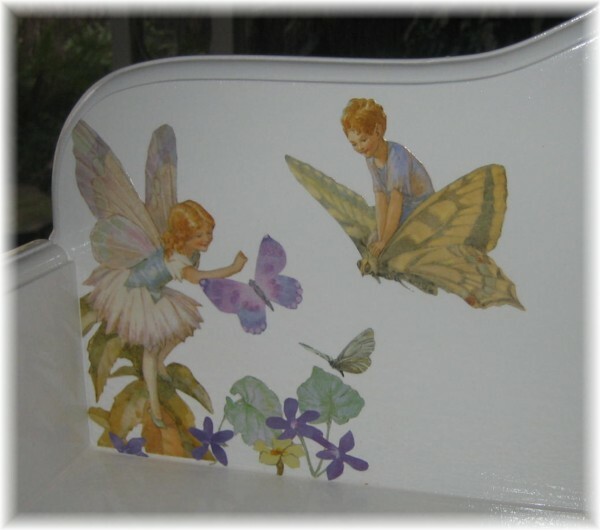 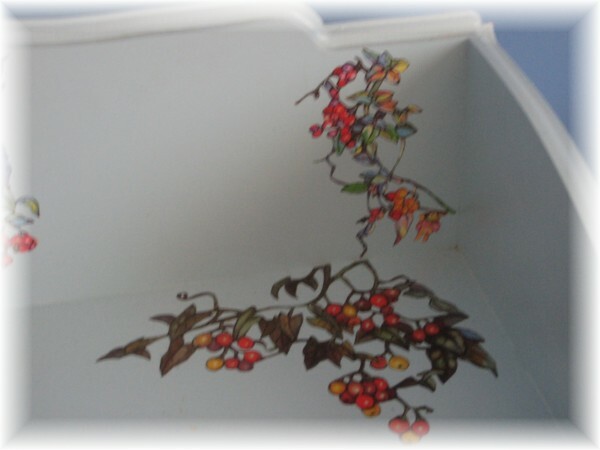 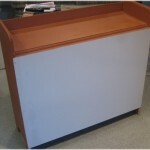 The bookcase can be made available with or without decoupage. 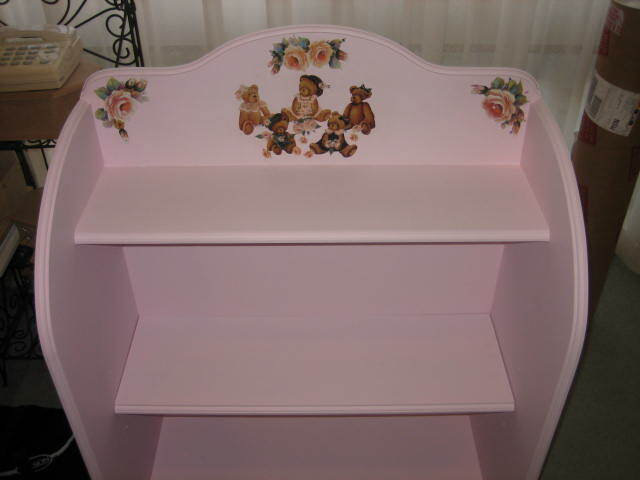 You have the choice of three or four shelves, which are adjustable to suit different size books, and a variety of headboard designs are available. 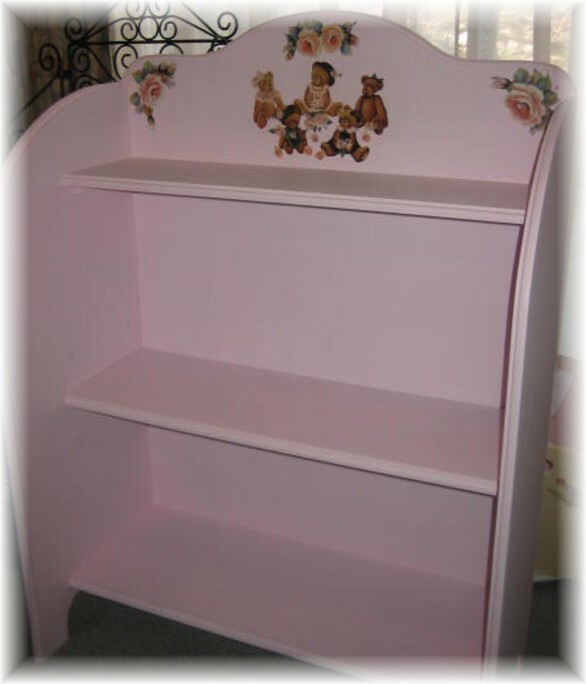 To be a little different we also make a bookcase which sits at the end of the bed and is accessible from both sides (see BC4 below). 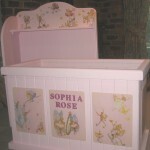 If you have a special style in mind please contact us and we can discuss this with you. 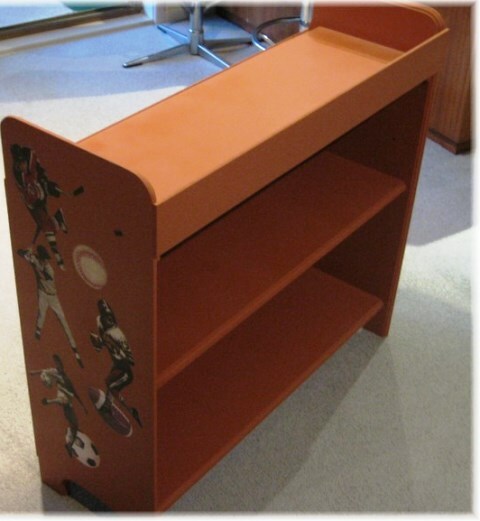 Delivery within Canberra and surrounds is free. 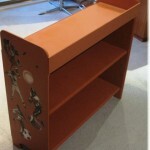 Shipping to other states in Australia will be advised. 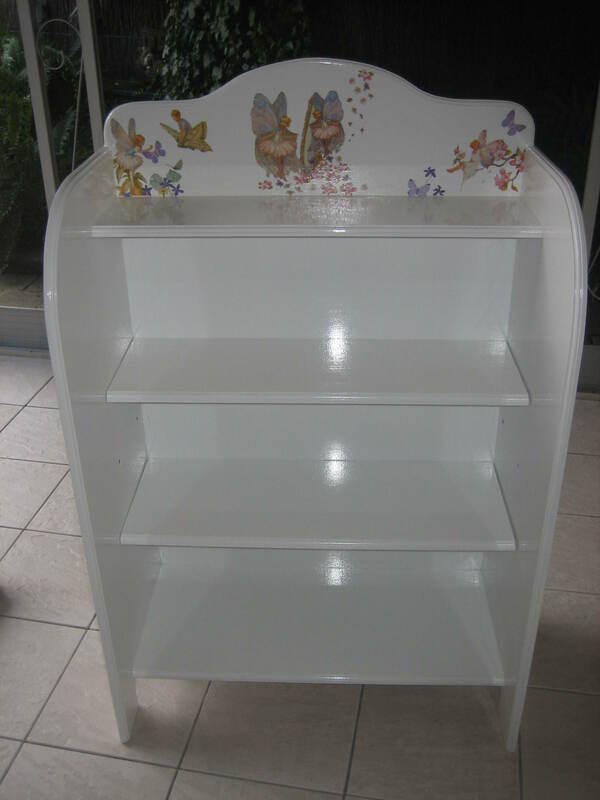 The middle shelf is adjustable to cater for larger books. 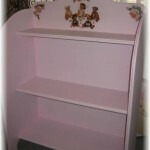 Bookcase sits neatly at the end of the bed and is accessible from either side.